May the kindness of God’s mercy bring you new life and Easter joy. Happy Easter! We have completed our celebration of our 100 years as a Parish. 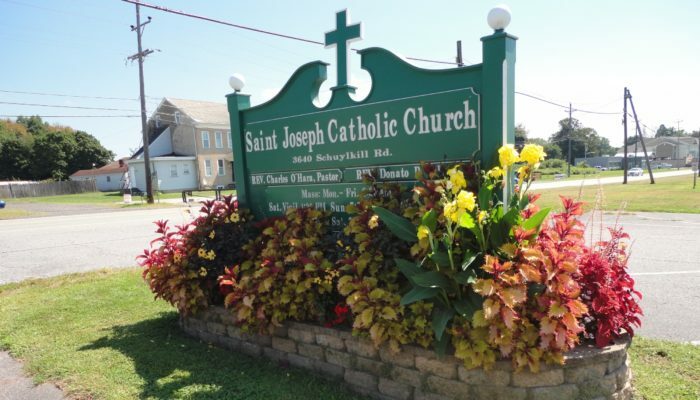 We begin a new journey as we now carry on the faith for the future of St. Joseph Parish and in the community of Spring City. The power of Jesus’ Resurrection has enabled us to thrive over the years and will continue to support us into the future. May we open our spirit to God’s presence in our midst leading us to provide and share this place of welcome for generations to come. Entering into the joy of this season, we focus on our mission of building a church of worship, hospitality and sacrament for all. 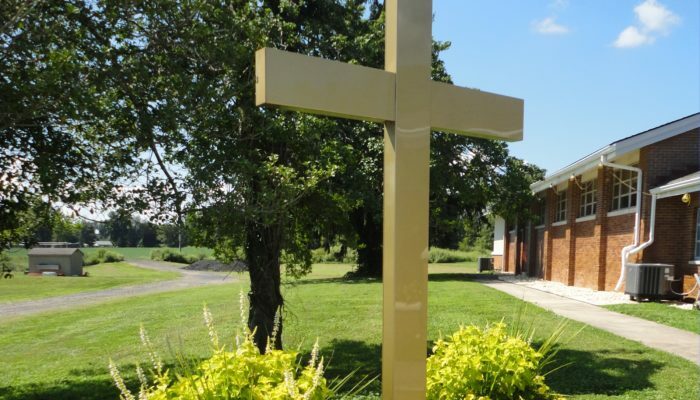 Let us remember, pray for and thank the many founding members of this parish over these past 100 years, whose fidelity and generosity have created this “pearl of great price and treasure in a field” known as the family of St. Joseph. 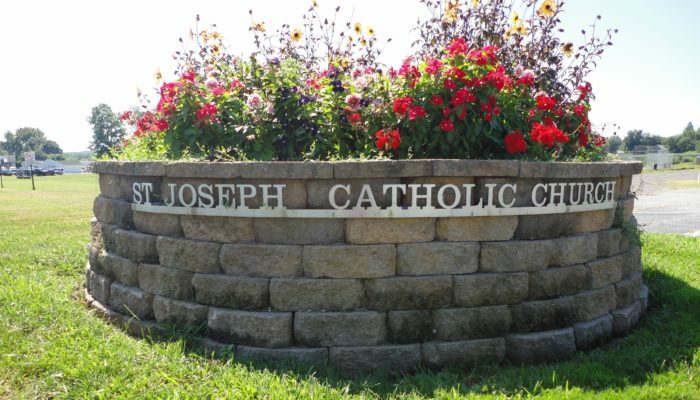 I am happy to welcome you to learn about our community here at St. Joseph’s parish! For me, this is a perfect opportunity to deepen our faith as we journey with one another. Together, may we experience God’s Presence in working and praying with each other in Liturgy. By way of introduction, I want to tell you about myself. I am the oldest of twelve children. I was born in Milmont Park, Delaware County. I attended Our Lady of Peace Grade School and St. James High School in Chester. I graduated from the University of Notre Dame. It was my good fortune to play football for St. James and Notre Dame. My allegiance to both of these schools runs deep. I am a St. James Bull Dog and I may be somewhat “over the top” with my Notre Dame spirit! I strongly support Penn State (as long as they are not playing Notre Dame). I attended St. Charles Seminary and was ordained for the Archdiocese of Philadelphia. 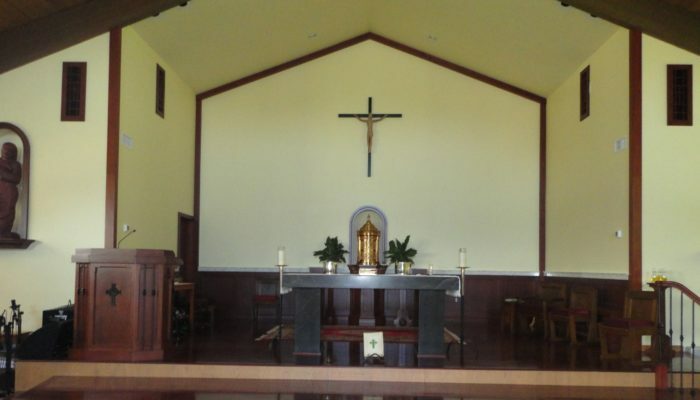 I spent three years at St. Cecilia’s parish in northeastern Philadelphia. I then taught theology at Bishop McDevitt H.S. in Wyncote, where I was appointed head football coach. 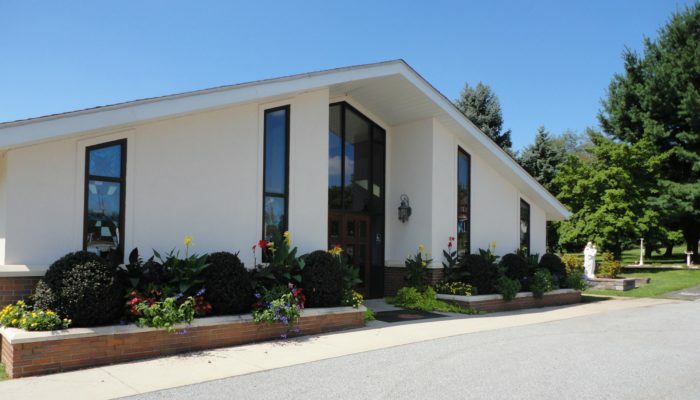 I was assigned chaplain to Villa St. John Vianney in Downingtown and taught at Bishop Shanahan H.S. in West Chester. At Shanahan I coached soccer, basketball, and golf. 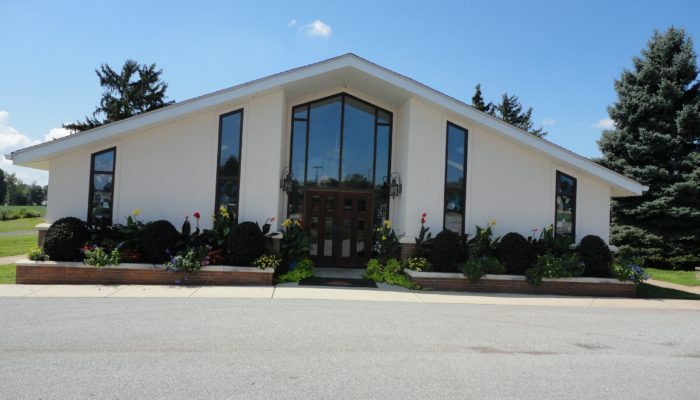 In May of 2006, the Cardinal assigned me to minister to the people here in Spring City. I am truly blessed to serve all of you, and I look forward to meeting you and your family personally! 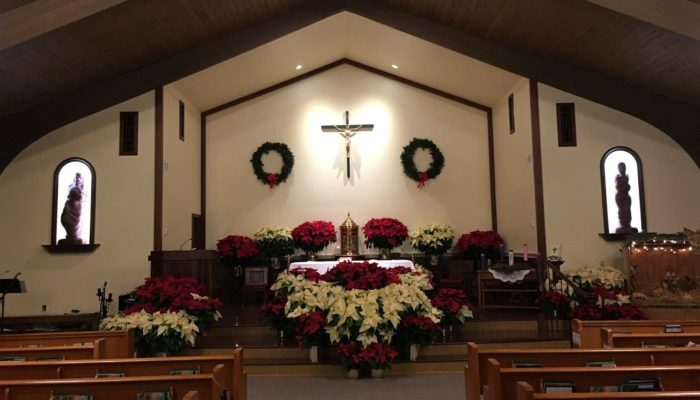 Centennial Commemorative Booklet –Featuring photos and events shared by St. Joseph parishioners. of more than 40 books on Catholic history, doctrine & devotion. Scripture tells us just a little bit about St. Joseph, but that little bit speaks volumes about the kind of life God blesses. 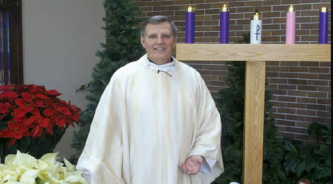 In two talks, Mike Aquilina will examine St. Joseph’s approach to two constants in his every day life and our every day lives: work and angels. Like Jesus himself, we have much to learn from the carpenter of Nazareth. Tickets will be available after Masses starting March 3rd. Cost $50 per person. Tickets limited to 300. Event is for participants 18 years of age and over. hand crafted especially for us in Italy by Ghirelli. 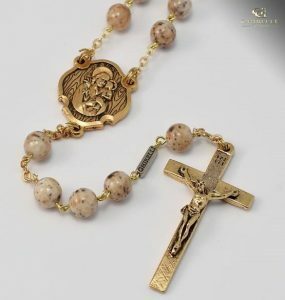 The rosary beads are of a natural stone with gold placements. at the entrance of the narthex with a Centennial commemorative. 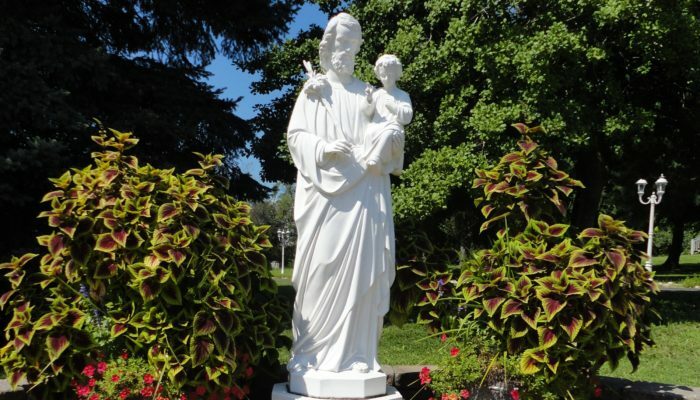 Traveling St. Joseph Shrine – Families of the parish have been invited to host the shrine in their homes for a week. The enthusiasm for this project has been overwhelming and therefore will continue after the close of our centennial year celebration. Stained Glass Windows – The 12 windows will highlight “Joseph” – Saint Joseph and the Joseph of the Old Testament. This window shows “Joseph, Chosen Spouse”. It portrays a pious legend of the engagement or betrothal of Mary and Joseph. Thomas Vafeades Esther Carl Hugh Michael Gallagher, Sr.
Masstimes.org is dedicated to helping Catholics get to Mass by helping them find churches and worship times worldwide. While travelling, you can find Mass times by entering the location’s zip code. Click here to get started. that gives Church locations and Mass times.